AFter looking at the draft by Delhi Govt. and its exemption list. Well that was always on the cards. Looking at the volume, when cops will already be hard pressed to spot vehicles not complying with odd/even rule then who will care to stop a vehicle with fake "complying" number plate and confirm it's identity. Major polluters are commercial transporters, Trucks, Buses, Mahindra and TATA-cars which are not maintained well. 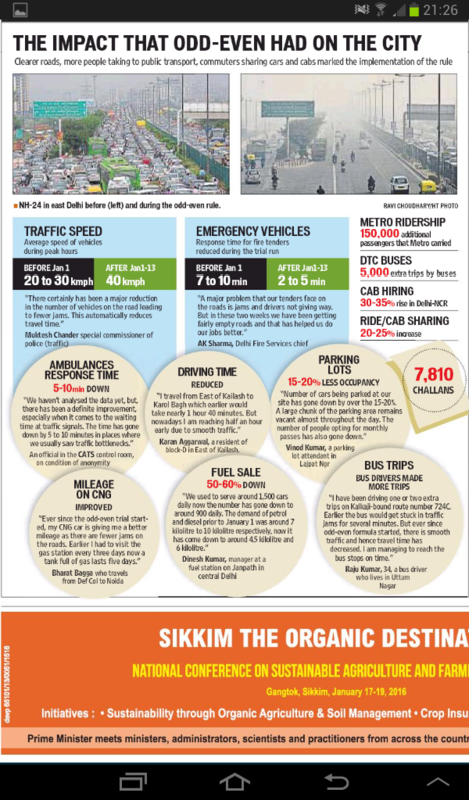 Impact of vehicles operating on CNG still not known with respect to pollution. I'm all for preventive measures but they should be realistic and conventional. 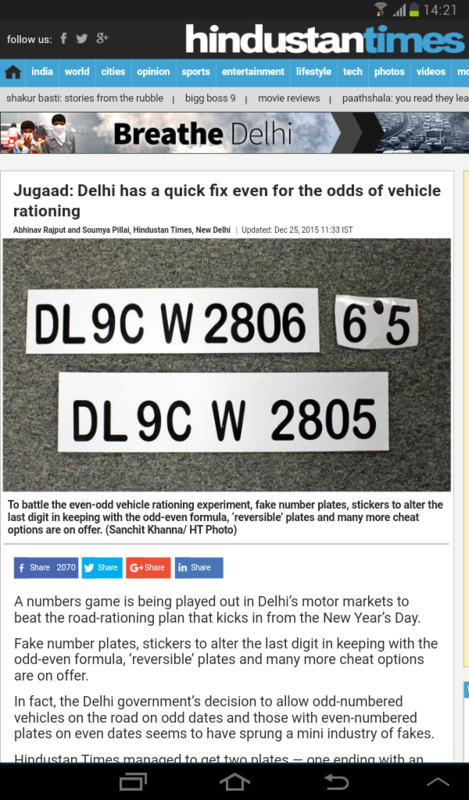 Not sure if the Odd-Even formula can be implemented in Delhi. This was tried before in many places and it failed miserably. It wants to know why Two Wheeler and ladies have been exempted. Rich people have more than two vehicles may be with an odd and an even number and this regulation will not affect the rich and richest. Many of these rich ones also adulterate fuel, that causing more pollution. I too agree that ladies should not have got this exemption. They are planning to regulate two wheeler also. Now the RTO and Govt. should get stricter in pollution checking norms as well as checking for adulterated fuel. For an immediate relief Delhi govt. have gone for this and this is an innovative and safe initial approach. Public transport is the best option but such transport will become easy targets for criminals, and hence security should be tightened within and inside-out. When Diesel engine came no body knew about the emission pollutants. After say 10-15 years some lab may come and say CNG pollutes more than Diesel. I don't know where all these industrial developments take our human race to. US knows and they are planning for a better place other than the earth. In Mumbai, I can count thousands of taxis with not more than one passenger. This type of traffic can be regulated by distributing offices and facilities across the city and state, just like ATMs (not exactly ATM), instead of complexes. All the state governments should plan-and-replan-and-plan for a better organization of the residential area, industrial area, commercial area etc to minimize the usage of motorized vehicles. For this the governments should take bold steps to take hold of buildings for relocation. In my opinion Tourist places also should be freed from motorized vehicles, or at least a Laxman Rekha should be defined every where required. Corruption should be eliminated from Govt. offices and efficiency should be improved, to reduce daily visits of common man to any office. If the Govt and politicians do their job sincerely and selflessly (also we people) most of Indian problem will be solved. Be good, see good, do good. 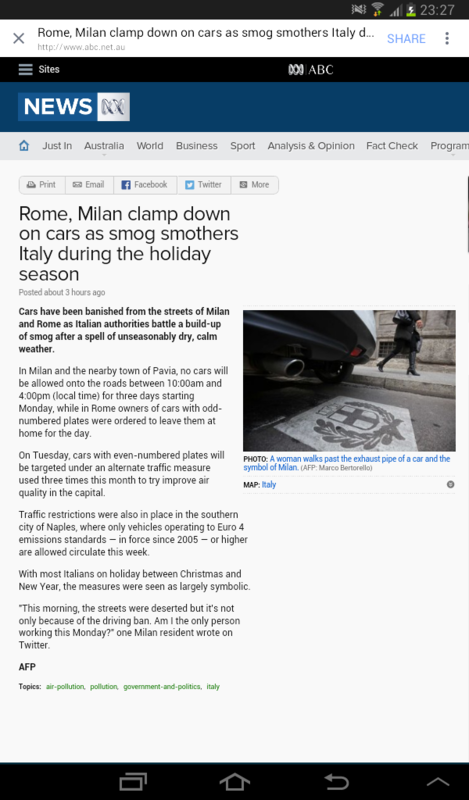 The ban has little effect on pollution levels. If at all, these figures were highest on monday. Hoping the COURTS hit the nail on the head again and fiercely ask Ladies and Two Wheelers to join in. The NGT has now asked VW to submit an undertaking of sorts , saying its cars in India dont have any cheat devices installed. Going by how VW has been treated overseas it a very luke warm response from a very hesistant nation, which is scared to act whenever it comes to Issues affecting a large part of the society. a local denter, know to my drivers has somehow convinced them that he could do the job and also get necessary endorsement on the RC done in quick time. As it is , we weren't able to use these vehicles for work because of the recent traffic regulations in place and thus made a lot of sense, so my two old cars at the denter have been the designated scapegoats , they had initially gone in for a denting job but now will be CNGed on their way back. Lets see if this gamble plays off. This just goes to show there could also be a possibility of CNG vehicles without proper Hydrotesting for CNG Cylinder safety and also for cases where CNG has not been endorsed on the RC have also been issued CNG Stickers. For starters why were stickers more than the registered numbr of vehicles printed in the first case. If traffic officials say they have collected 1.2 crores of Challan money, just think of the undisclosed amount that these people are pocketing on a daily basis. So we have another twist to this odd-even rule. Few diesel cars like Ertiga/Ciaz (SHVS variants) have been exempted from this rule. Can't understand how can a micro hybrid technology (even if I can call it so), which was mainly aimed at improving fuel efficiency by modulating engine start/stop, is being considered as "environment friendly". 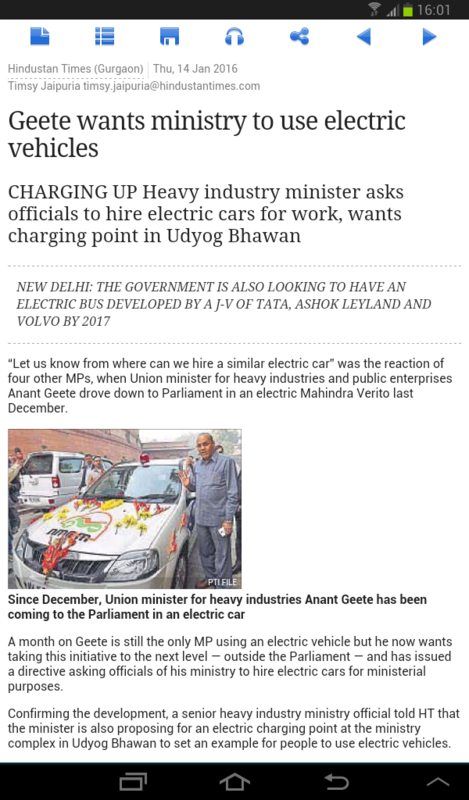 I think we are not far off from a situation when every other manufacturer will just install these micro systems and allow their vehicles to be exempted (Mahindra already has this micro hybrid in Scorpio). Will these people kindly explain to me how does it cut down on the pollution emitting from a diesel engine. So the 2-5% fuel efficiency achieved this way is the only logical answer. 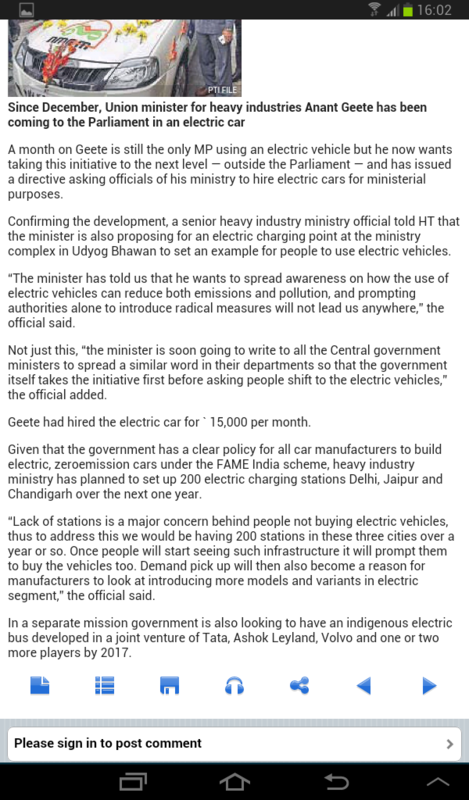 No one will like their vehicles to turn off even for a minute in DELHIS smouldering summers. Already Scorpio has this function , well most of them , barring the AUTOMATIC variant but people , the interesting thing is that it can be turned ON and OFF by a switch on the dash. If Maruti can get away with it why shoudnt Mahindra be set free too. It is a CLASSIC case of VW like cheating device installed on the cars. Like VW cars could evade pollution test by these smart cheating devices , you can get away and keep on polluting in your cars just on the pretext of a switch , that they say makes it a HYBRID. If you are that serious , hardwire this into the vehicles software , let people know that this thing will stop the enginewhen you come to a stop , which means your AIRCON and blowers will stop working and you dont even have the option of a switch that turns this feature off /on and after properly educating your customers , if you are able to sell even one car. Allowing such Micro and Mild Hybrids is like actually going back on the POLLUTION CONTROL PROMISE that we are trying to achieve. The decision to exempt some mild hybrid cars seems to be a more of a lobbying by Maruti. Not to forget, most Govt officials are using newer Maruti cars (like Ciaz and Ertiga) so by exempting these models they are infact helping themselves only, with least concern for pollution. 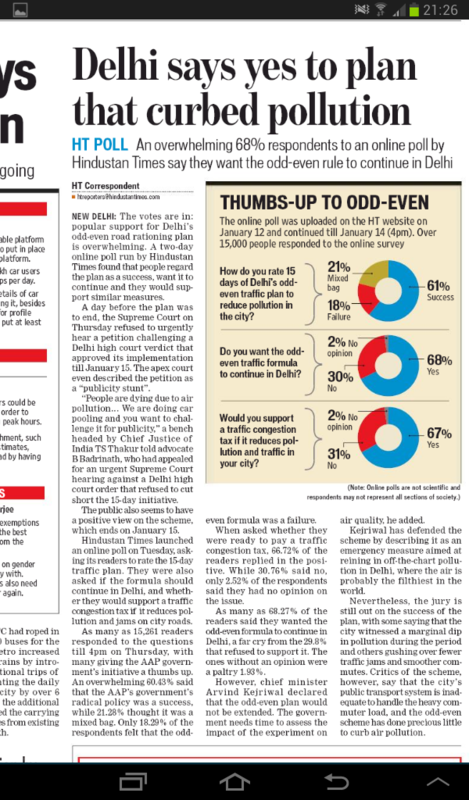 Delhites around 44% of the polled ones ,confirmed that if these Odd Even trials exceed 15 Jan they will be forced to consider buying another car. On the other hand Emergency services are saying that because of the recent traffic regulations , the roads are fairly empty , this has reduced their response time by a great deal. The air quality index for most observation points has also fallen for the good. Earlier the places that used to feature on the top of BAD air quality index have now fallen to the sixth place . Though its still BAD but far better than the WORST it used to be. The last day of ODD EVEN trials tiday in Delhi. 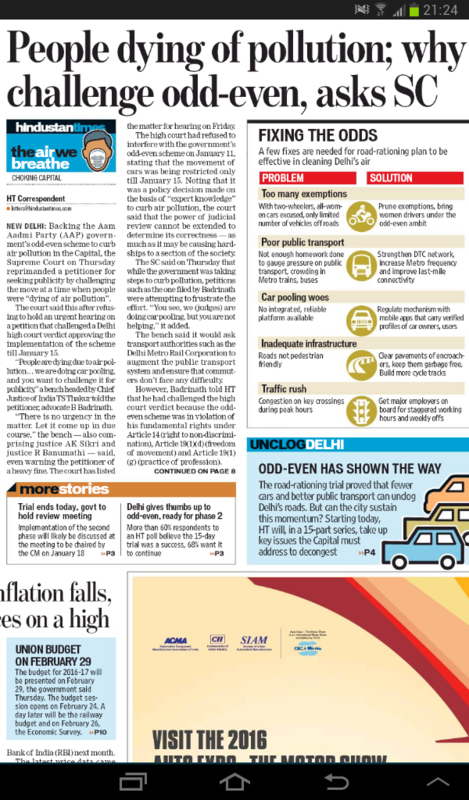 Delhi Govt has already decided for a review meeting on 18th Jan.
We know schools open from 16th so would be impossible for the school buses to do traffic duty from now on but then ofcouse schools only need these buses for a few hours in mornings and a few hours in the afternoon , they can thus still be pressed into service for the other hours. Something on these lines so as to decrease bottlenecks with everyone coming out in the road at the same time. 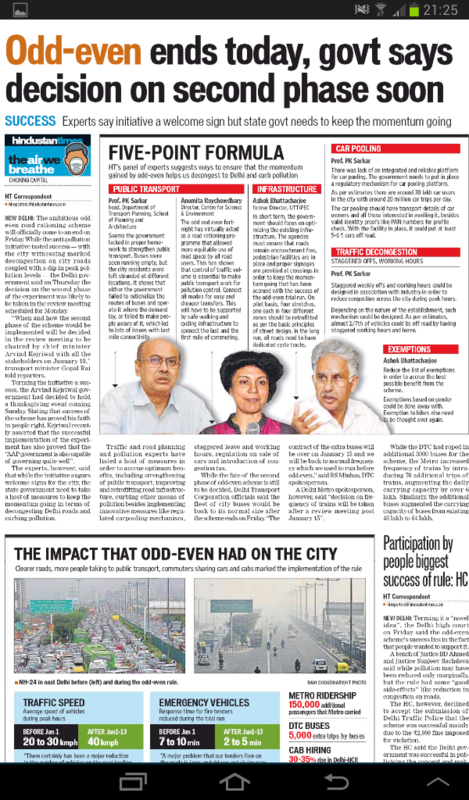 I personally did not find any notable difference in the air ,though could see people more into environmentak issues over these last few days , everyone is talking green , lot of CNG and ELCTRIC talk. If the air supply to the CNG Engine is reduced due to clogged filter etc then even CNG vehicles will emit black smoke. Some of you must have seen this case when Oxy-acetylene torch is used. What a joke they have made out of pollution. How was Mahindra in knowledge of this. 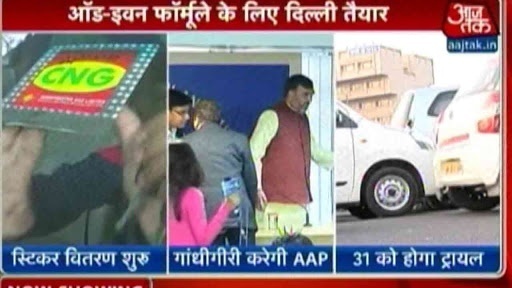 Mr CM has asked for suggestions from delhites on his odd even gmail account.